With Mars about to make it's closest approach to Earth in 60,000 years, you have to ask yourself one Question: Are "THEY" coming? Be PREPARED if they ARE! 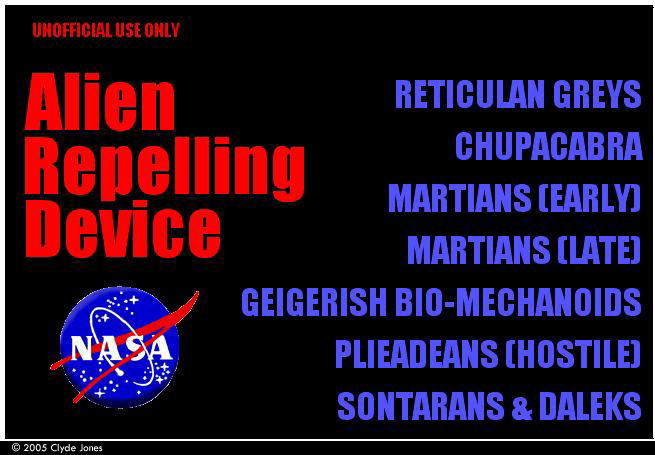 Now available for a limited time only, and to only a selected few individuals, a genuine copy of the Official NASA Alien repelling Device! 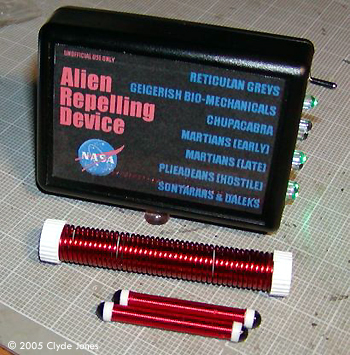 Powered by a convenient 9 volt battery, this device is tested to be AT LEAST as effective as ANY OTHER alien repelling device on the market. With circuits to repel 7 different and discrete alien life forms (and their sub-variants) this is the A.R.D. you can't do without! 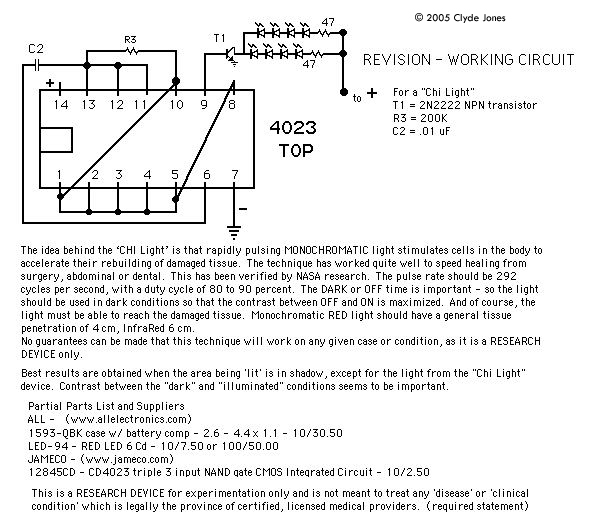 Image: BONUS: In case the aliens get through before you can deploy your ARD, this Chi light will help speed recovery. Built as a spoofer - a device that looks like it’s doing something enormously important, but NOT - this device happily flashes 7 nice aqua LEDs in a seemingly random pattern, with enough interaction so the ‘circuits’ appear to be working together. Actually, this circuit has been adjusted to give a 16 second seemingly random display - the speed is variable. I used a standard gadget case - part # 1593-PBK - from ALL Electronics which is small enough to be handy, large enough so as not to be a nightmare to work in, and which has both a removable ‘face’ panel on one end and a compartment for a 9 volt battery. Size? 2.6 x 3.54 x 1.1 inches. Cost? Three bucks, US. 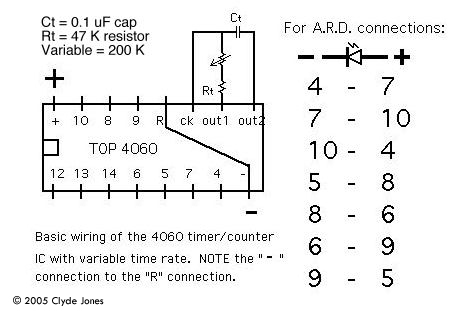 a few resistors (Rt - Resistor - 47 K; Rvariable - 200 K). Why aqua LEDs? These day, showing any device with lots of flashing RED lights might just panic people and get the holder shot as a terrorist wanna-be. DO NOT USE RED for this one - and any and all risk of use belongs to the builder and/or user. I politely decline any responsibility for it’s use or misuse. This page copyright © 2005 Starship Modeler. First posted on 14 March 2005.